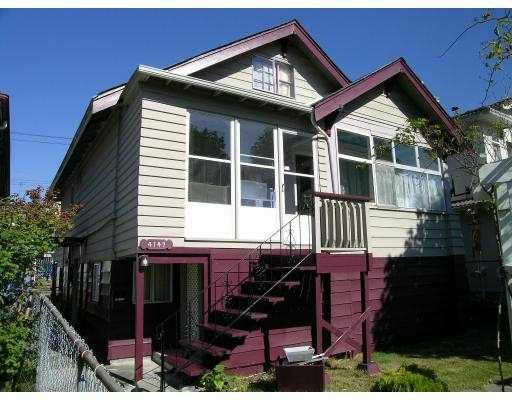 Solid, affordable, well maintained home at Van-Heights location, move-in condition. Upstairs 2 bdrms, 1 1/2 bath & 2 bdrms in bsmt. Aluminum vinyl siding. New roof & plywood. Double glazed window. HW heat, new HW tank, 3 porch, 2 sundecks, 3 storage, garage. Nice setup playground at front yard & rear garden.